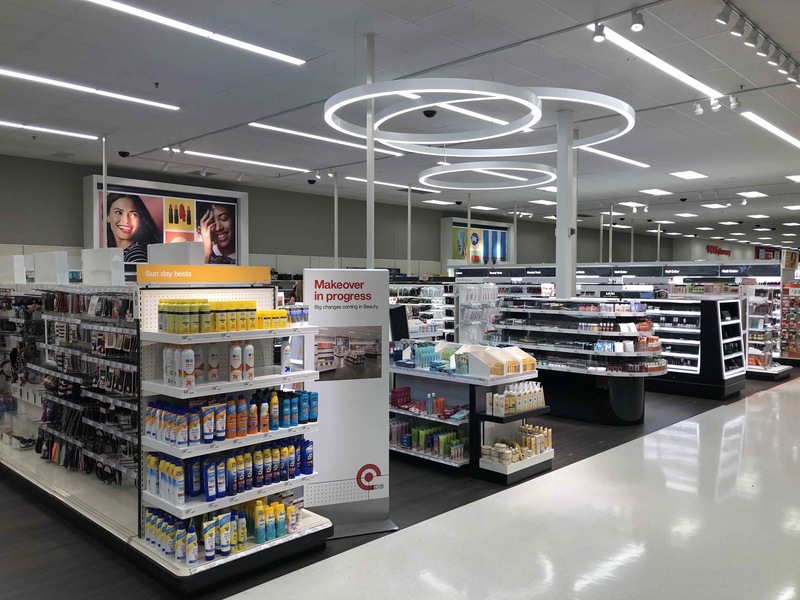 Wolverine Building Group has performed numerous Target store remodels. 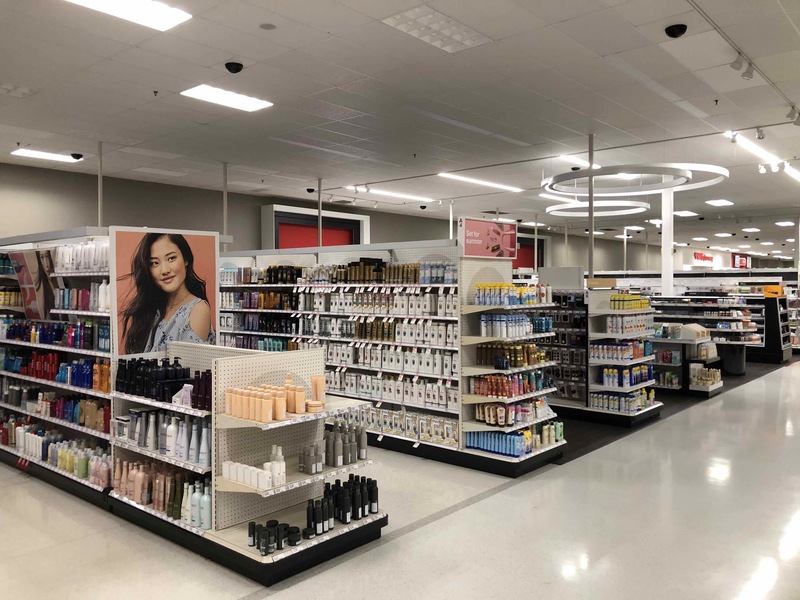 Wolverine Building Group has performed a wide variety of Target store remodels in multiple locations. Pictured are locations in New Berlin, Wisconsin and Indianapolis, IN. These remodels included extensive interior and exterior refreshes. Interior improvements included a new guest service and online order pick up area, new fitting rooms, renovated bathrooms with new finishes and fixtures, a completely renovated cosmetics area complete with new lighting, flooring, and fixtures, a new electronics service counter and fixtures, an angled display wall in the seasonal section, fresh paint, and new carpet. Exterior upgrades included new exterior signage and the installation of a new exterior panel system.